This client in Chicago Ridge had some missing pieces of soffit that were causing leaks and other issues in the building. We stopped by and were able to quickly and efficiently fix the problem, and now they can rest easy! I am interested in having the siding on our house replaced. Would like to get an estimate. Thank you. I filed an insurance claim for replacement of my roof. I am looking to get an estimate for the house roof. I would like a separate estimate for the flat roof on addition and garage. i have used Kevin for some smaller jobs and when I decided to rip off the roof and dormers, I told Kevin I was no-bidding this based upon my prior experiences. What I like about Kevin and all of the PM's is that they want to get it right, period. Construction projects always have curveballs and Kevin and team made ours an easy process. We had a new patio done in the summer with a lot of granite and stainless steel in the backyard. The crew built a fortress over and around our new patio to protect our investment. It was nice to see that they cared about the complete job and not just their piece. 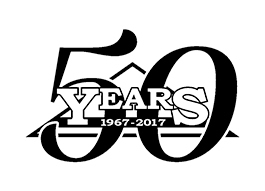 "Stan's was able to provide all the services we needed - one..."
Stan's Roofing & Siding has served the residents of Chicago Ridge since 1967 with a wide range of roofing and siding services. Our employees are professionally trained and capable of installing or repairing your roof or siding quickly and efficiently.